Now, this is one way to honor and celebrate our fallen heroes who give up so much to keep our country safe. I truly wish we would see more of these types of stories instead of some many people trying to tear our country apart. 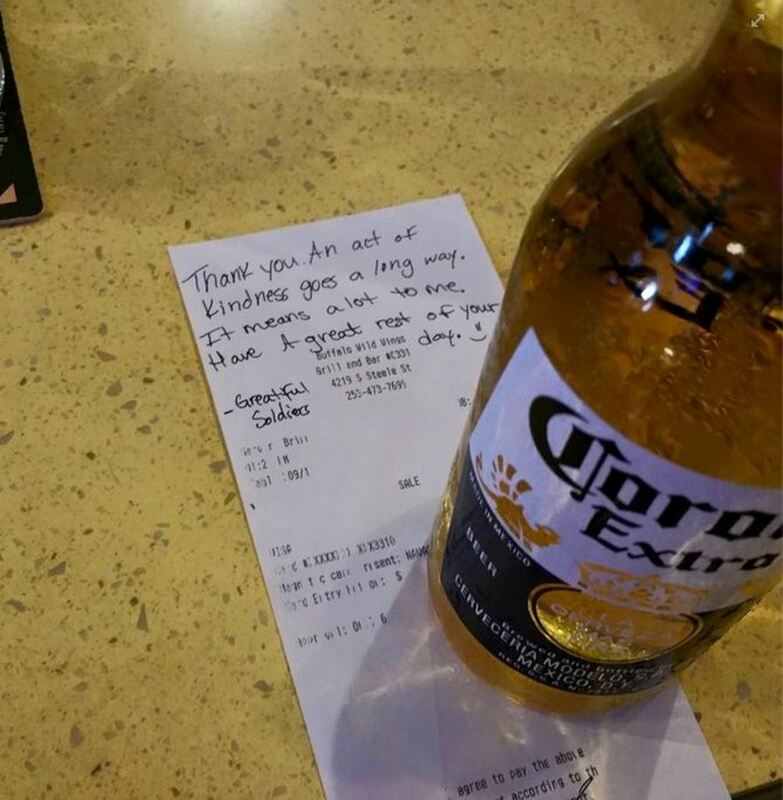 According to Buffalo Wild Wings server Brian Avey, a woman came into the restaurant last week for lunch and placed a drink order for two beers — a Blue Moon and a Corona. The woman informed Avey that she wouldn’t be drinking the beer and that it would simply be purchased to honor her brother. The woman was so touched by the gesture that she wrote a message to Avey on her bill. Avey’s boss, Dan, agreed that they couldn’t dispose of the beer. “I just can’t throw this beer away,” Dan told Kiro-TV. 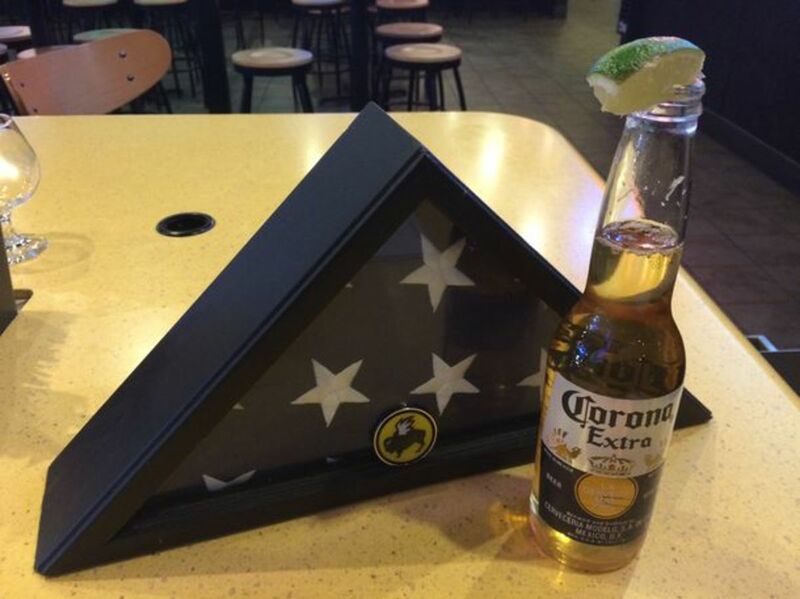 He decided to let the beer stay as a tribute to the fallen soldier. Avey’s post quickly went viral, garnering over 60,000 likes and nearly 30,000 shares since it was originally posted.